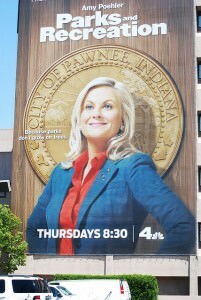 What does public relations have to do with NBC’s Parks & Recreation? If you’re a fan like I am, you may have noticed a few lessons from the show’s series finale last week. Here are 4 public relations tips I came up with. 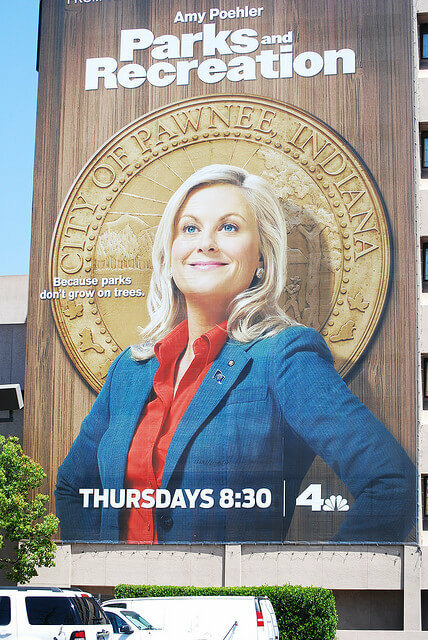 Did you catch these 4 public relations tips from the Parks & Recreation series finale? Fair warning, if you DVR’ed the finale and haven’t watched it yet, there are spoilers below. 1. Keep them wanting more. The Parks & Rec season finale was told in a series of flash forwards. As it went through the cast, you saw what happened in each character’s life. Although it was subtle, there were a few ways the show dropped hints that kept viewers wanting more (for example, I noticed April was pregnant when she visited Donna in the first flash forward!). When it comes to public relations, it’s important to capture journalists’ interest, too. 2. …But not for too long. Of course, if Parks & Rec hadn’t explained why April was pregnant I would have been upset. Similarly, if you don’t fulfill reporters’ requests for more during a public relations campaign, they’ll get frustrated and just move on to another story. Make sure you provide everything journalists request as quickly as possible. 3. Get creative. In the series finale, Tom’s business goes bust and he loses it all. But then he creative by turning it into a successful book, “Failure: An American Success Story.” Don’t be afraid to try a completely new approach to your public relations campaign. If something didn’t go well, evaluate what you need to improve and give it a fresh take infused with a creative new angle. 4. Always be willing to help. In Parks & Rec, Leslie is always eager to help her friends. This didn’t change in the series finale. When Ron was directionless, she found him the perfect position as superintendent of the national park she made in Pawnee. When a journalist needs your help, do everything in your power to give it to them. In addition to just being nice, this helps build a positive working relationship that may benefit you in the future. When it comes to public relations, it’s important to grab reporters’ attention, get creative and have a helpful attitude. Can you think of any tips from Parks & Rec that I missed? Share them in the comments below!